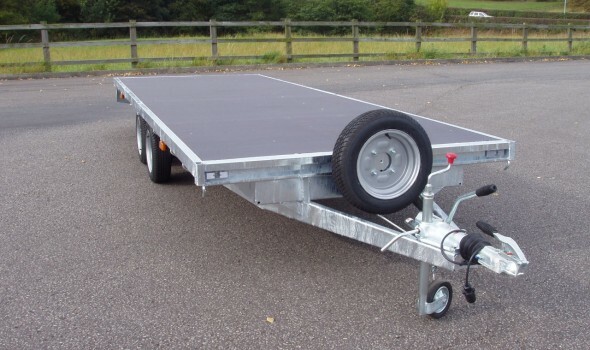 Model 2050 is our largest 2000kg platform trailer, it is ideal for carrying long or bulky equipment behind vans and medium sized vehicles. 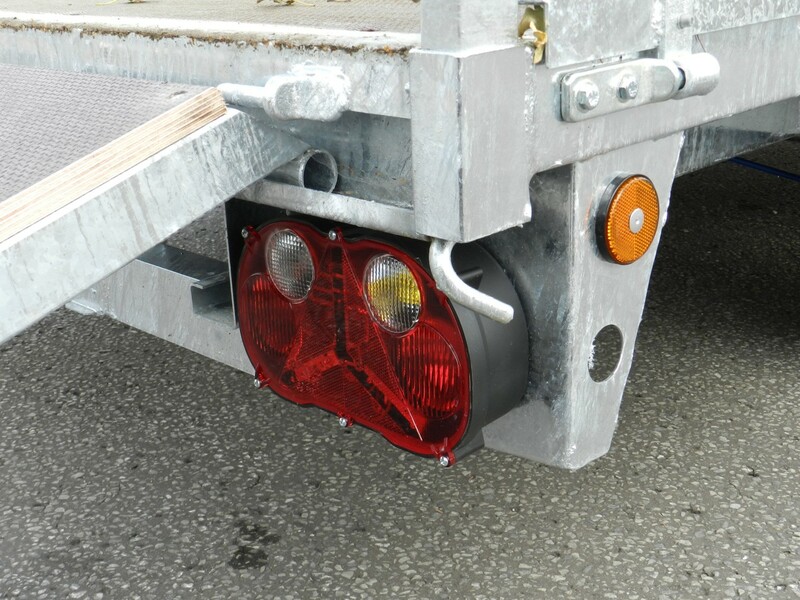 As with all our trailers the plated weight can reduced to comply with vehicle train weights. 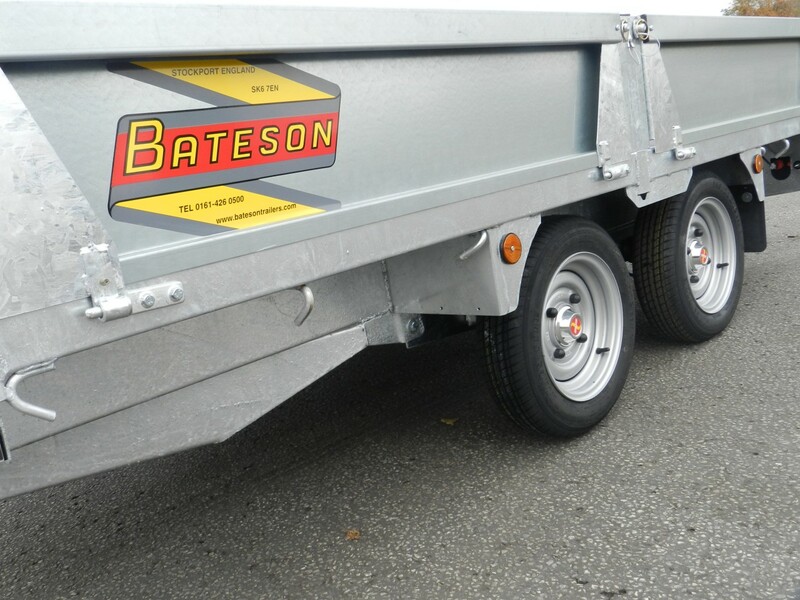 Recent applications have included transporting 5 metre plastic pipes, loading several quad bikes across the trailer and the trailer illistrated which is fitted a mobile advertising board. 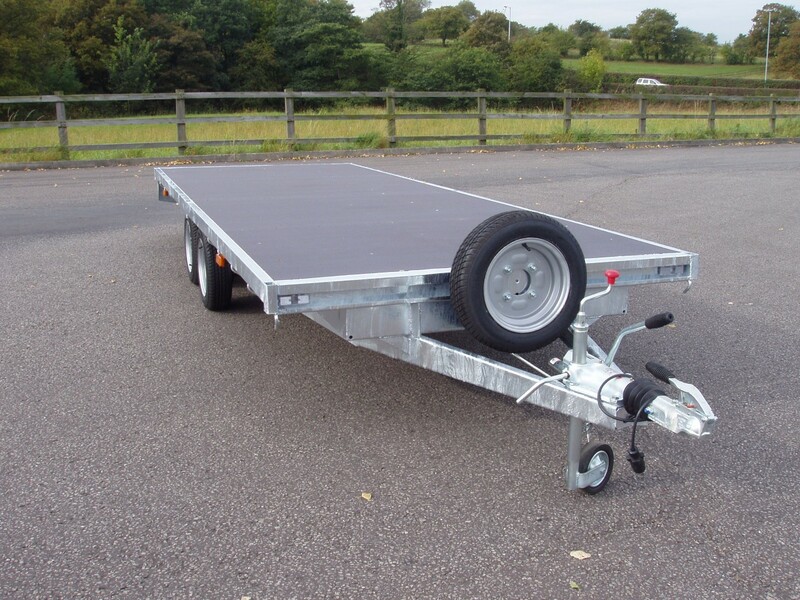 The trailer is supplied as a standard flat but can be fitted with sides and all the options applicable to all the other platform trailers including hydraulic tilt and ramp door or a third axle which can increase the plated weight to 2600 kg. or 3000 kg with a Knott coupling.